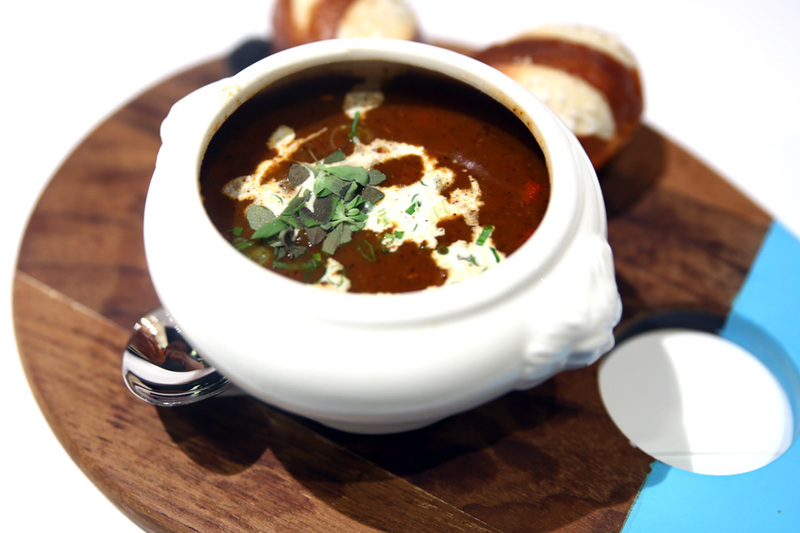 Bavarian food? 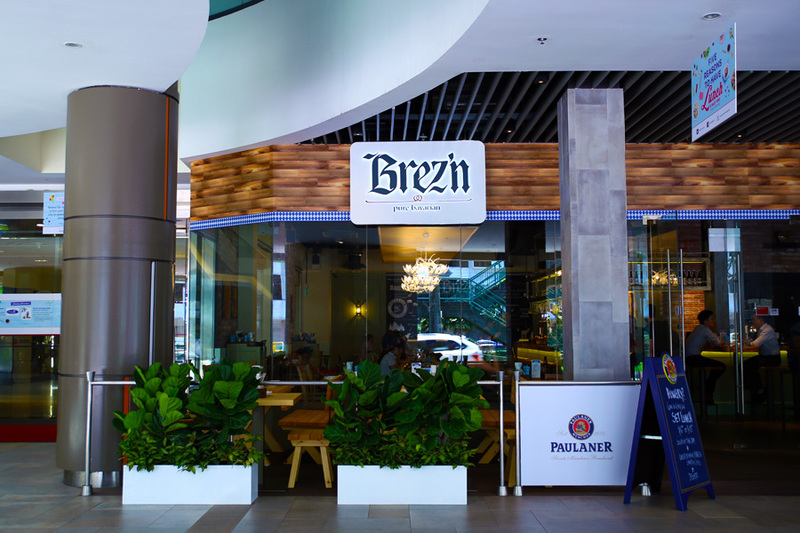 Brez’n at Valley Point serves up Bavarian classics, which is considered uncommon in Singapore’s context. 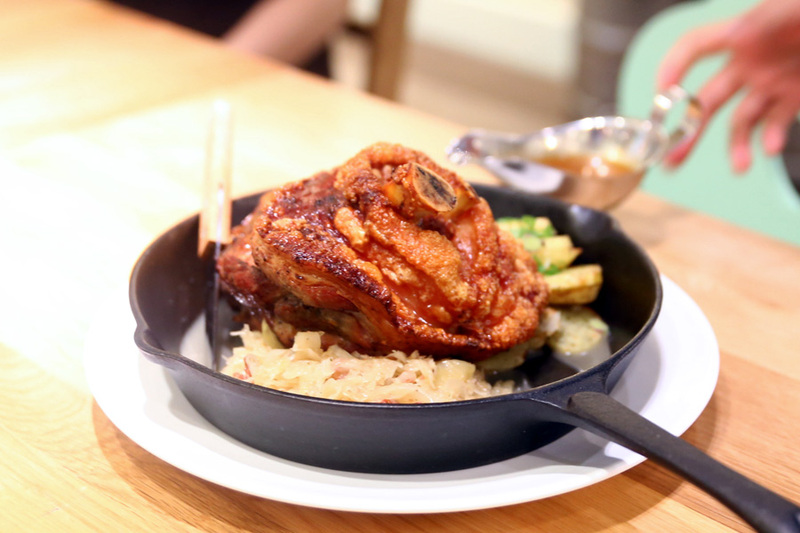 Are Pork Knuckles, jumbo Sausages and Schnitzel calling your name? 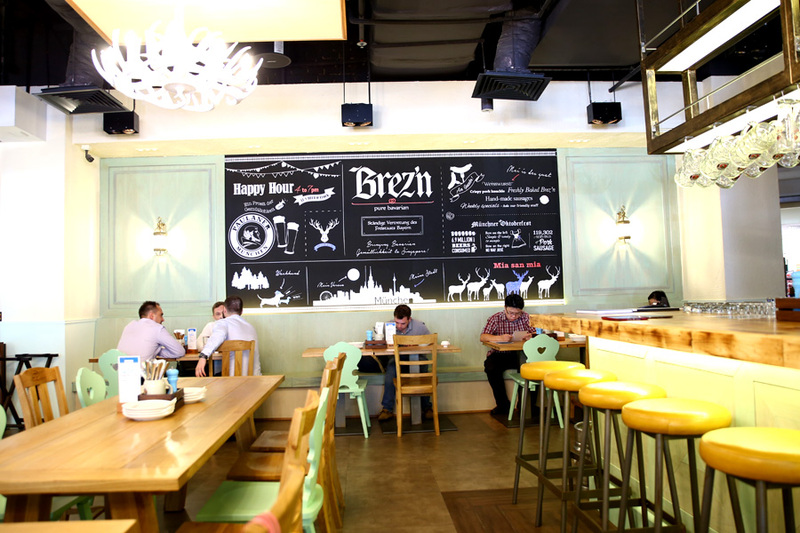 The restaurant’s name “Brez’n” is inspired by the Bavarian word for Pretzel – the sourdough bread. Taking over Erwin’s Gastrobar, the concept initially reminded me of Kaiserhaus at Capitol Piazza. Niche, unfamiliar, but interesting enough to warrant a visit. 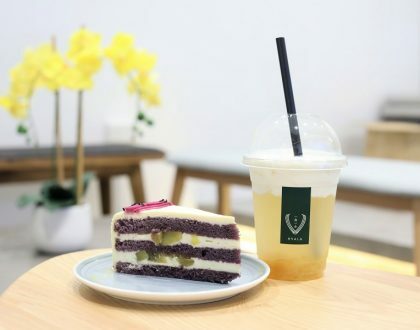 It is operated by the same team behind ERWIN’S Gastrobar, LeVeL33, Kaiserhaus and Paulaner Brauhaus Guangzhou, and from the original founding team of Brotzeit. Chef Dominik Österreicher helming Brez’n’s kitchen, is former Executive Chef of Brotzeit. I would recommend the sandwiches. 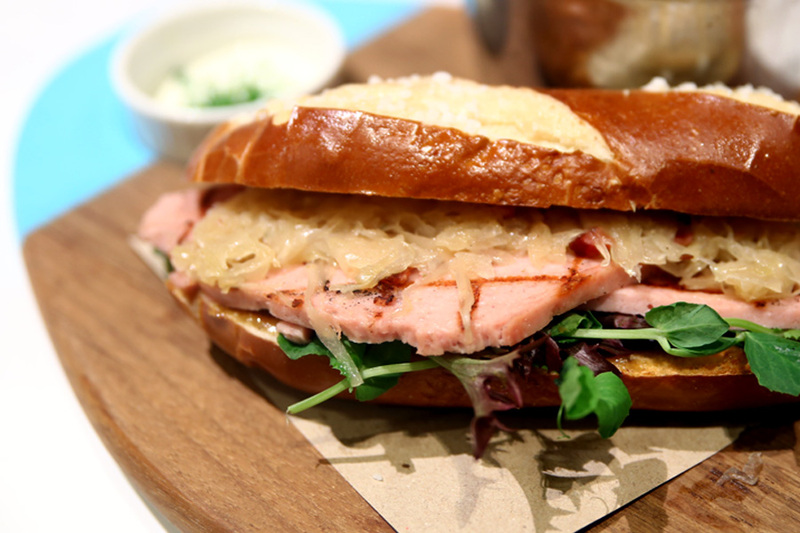 Instead of the typical sliced bread, the sandwiches are made with pretzels. Filling options include meat loaf slices, vegetarian, smoked salmon or honey-glazed leg ham ($12 – $15). I picked the Brez’n Sandwich Lerberkase ($14) because meat loaf slices were the most atypical-sounding. The oven-baked buns were warm, soft with a light touch of that unique pretzel flavour, and filled with sauerkraut, pickles, honey mustard sauce, and a side of thick cut fries. Hearty. 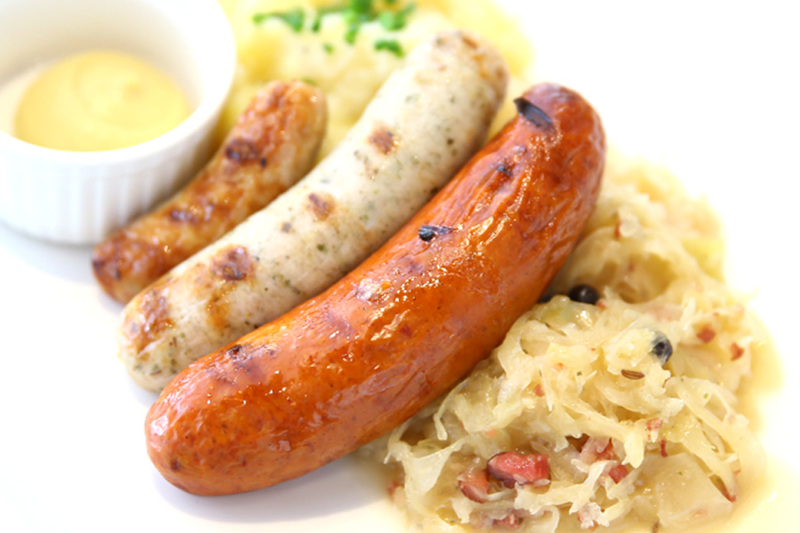 Sausages served are hand-made by a German Master Butcher, all without added MSG. 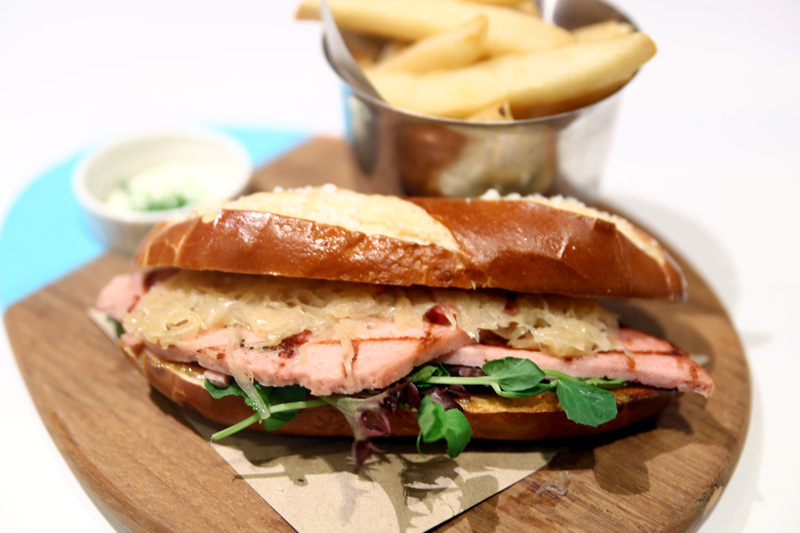 The recommendations are Weisswurt, the Bavarian classic veal and pork sausage. 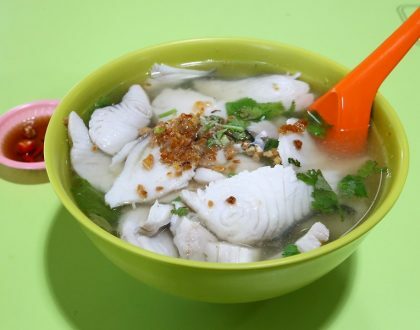 Set lunches at $18 are considered affordable. 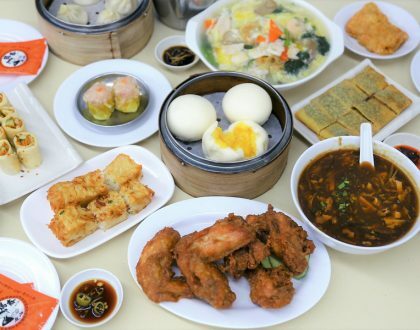 Every set lunch comes with soup and a bite-sized dessert of the day (REALLY bite-sized). 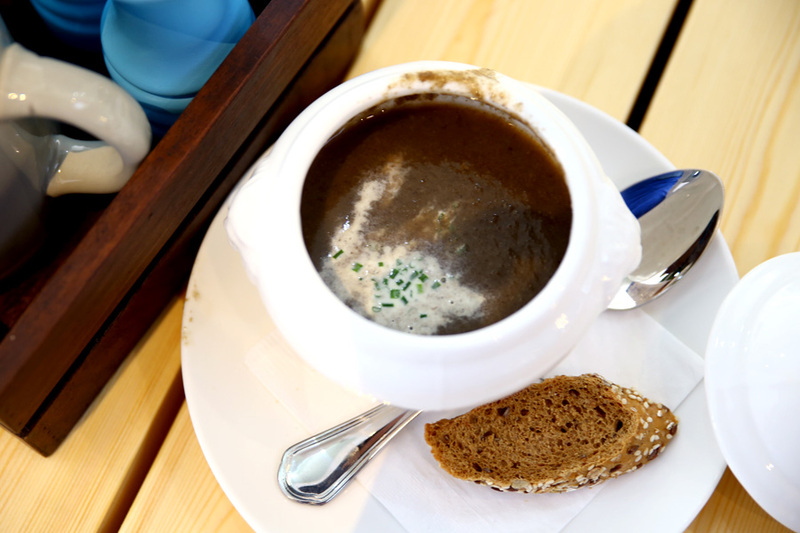 Diners can opt for mains such as the Fleischpflanzerl, the grilled Bavarian beef and pork patties served with mashed potatoes, beer-infused brown sauce and crispy onion rings or the Chicken Schnitzel with potato salad and cranberry sauce. However, the set lunch might not provide an accurate representation of what Brez’n potentially can do. 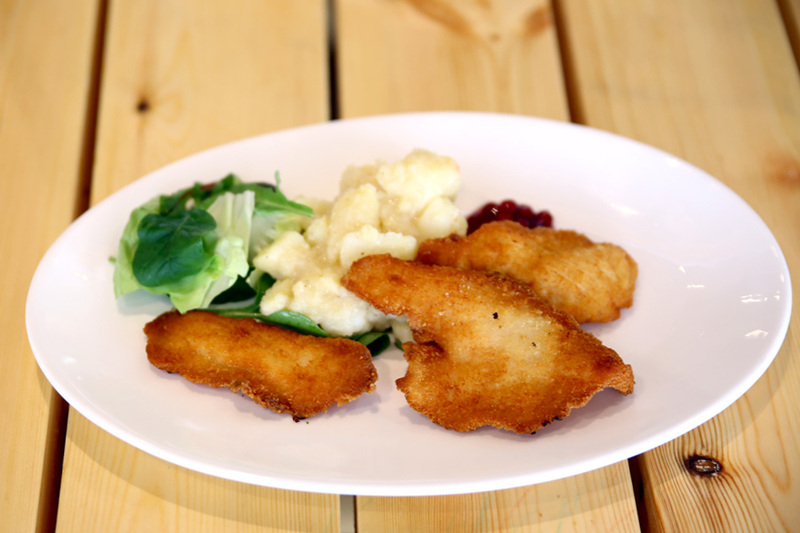 Take for example the miserable-looking Chicken Schnitzel… well, I shall just let the photo do the talking. During the weekends, breakfasts are served from 8am. Quite a promising restaurant that lightens up this part of River Valley, which can be quite quiet at times.